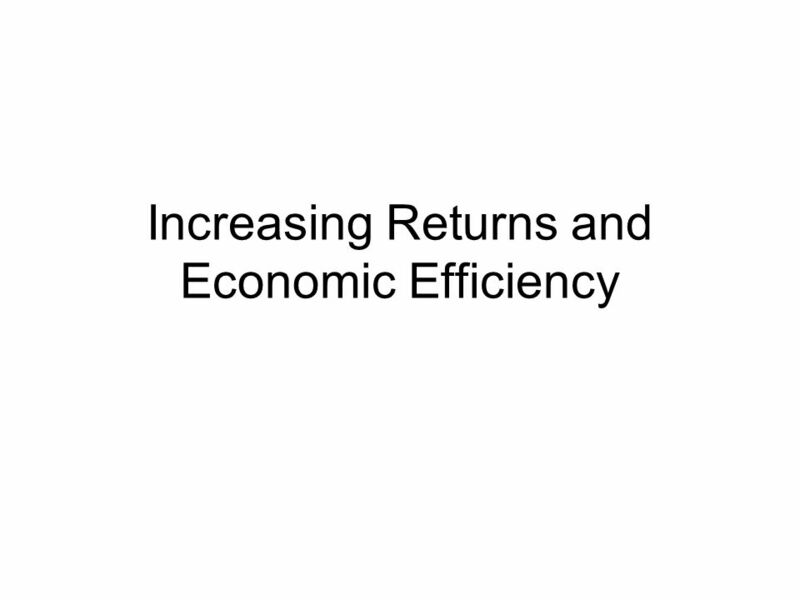 Increasing Returns and Economic Efficiency. More Seriously Learning costs, indivisibilities giving rise to sizable fixed costs. Information and knowledge. 2 More Seriously Learning costs, indivisibilities giving rise to sizable fixed costs. 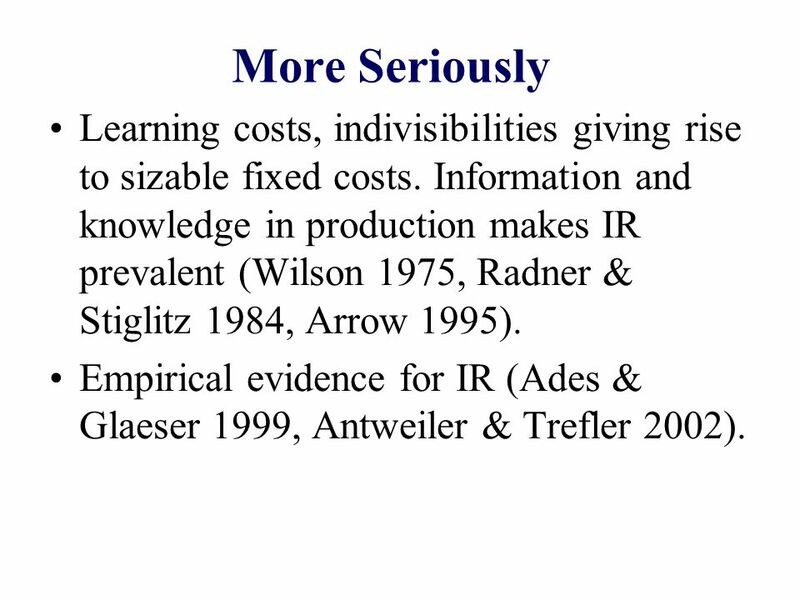 Information and knowledge in production makes IR prevalent (Wilson 1975, Radner & Stiglitz 1984, Arrow 1995). Empirical evidence for IR (Ades & Glaeser 1999, Antweiler & Trefler 2002). 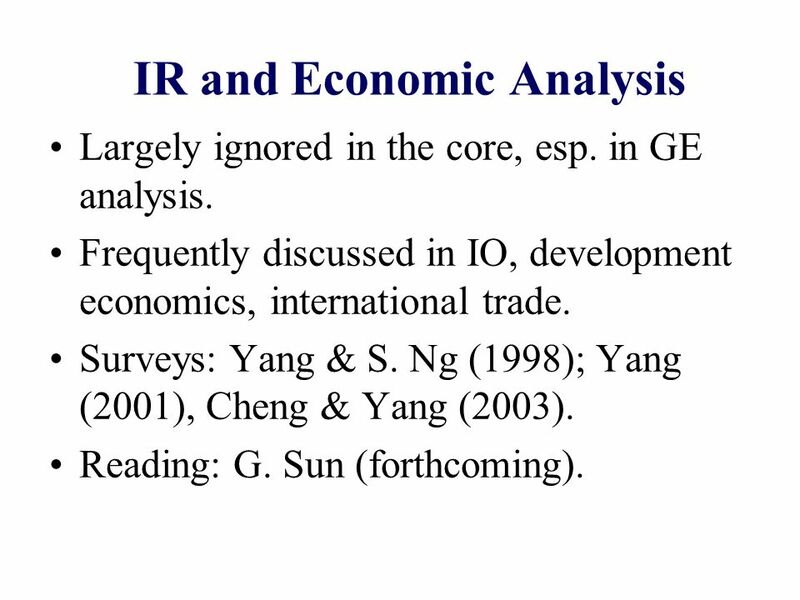 3 IR and Economic Analysis Largely ignored in the core, esp. in GE analysis. Frequently discussed in IO, development economics, international trade. Surveys: Yang & S. Ng (1998); Yang (2001), Cheng & Yang (2003). Reading: G. Sun (forthcoming). 4 One clear conclusion is that there are many important areas of economics in which the recognition of increasing returns makes a big difference, and changes the established wisdom significantly. 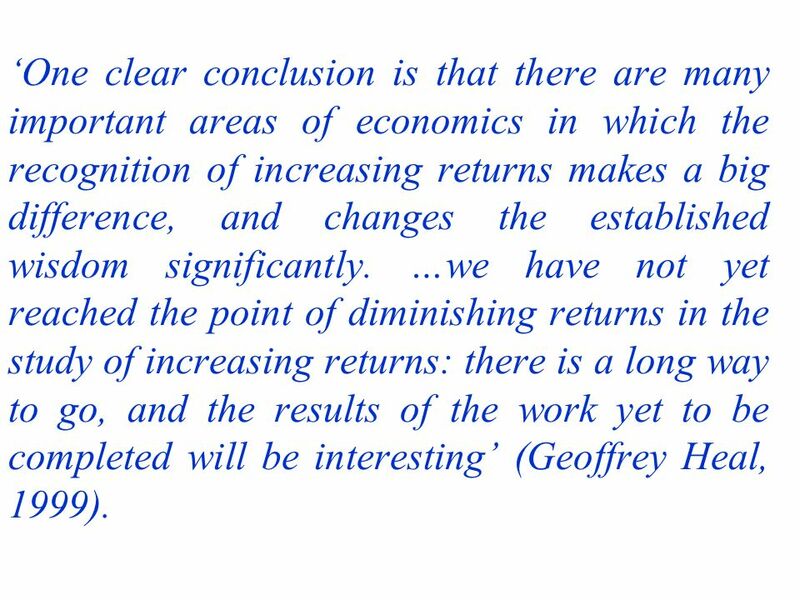 …we have not yet reached the point of diminishing returns in the study of increasing returns: there is a long way to go, and the results of the work yet to be completed will be interesting (Geoffrey Heal, 1999). 5 Different Types of IR IR at the firm level, economies of scale. IR at the industry level due to external economies (Marshall 1920, Chipman 1970, Romer 1986). 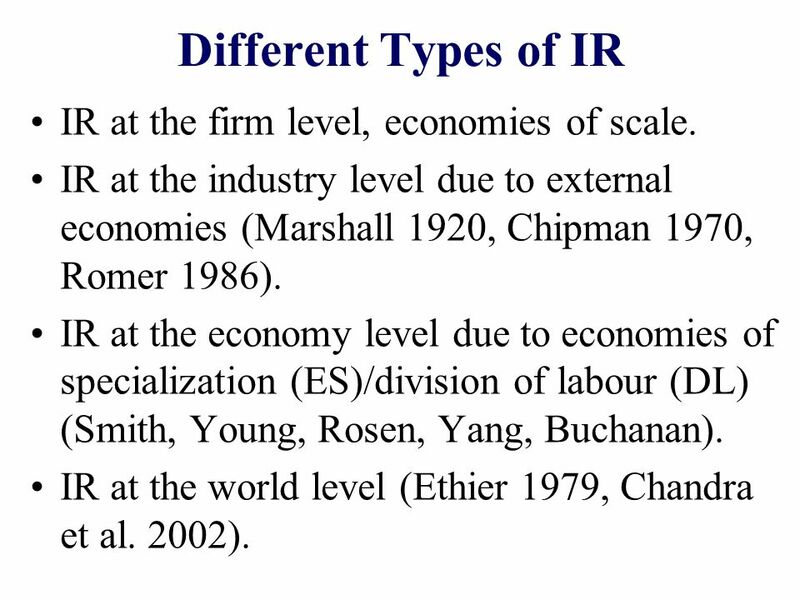 IR at the economy level due to economies of specialization (ES)/division of labour (DL) (Smith, Young, Rosen, Yang, Buchanan). IR at the world level (Ethier 1979, Chandra et al. 2002). 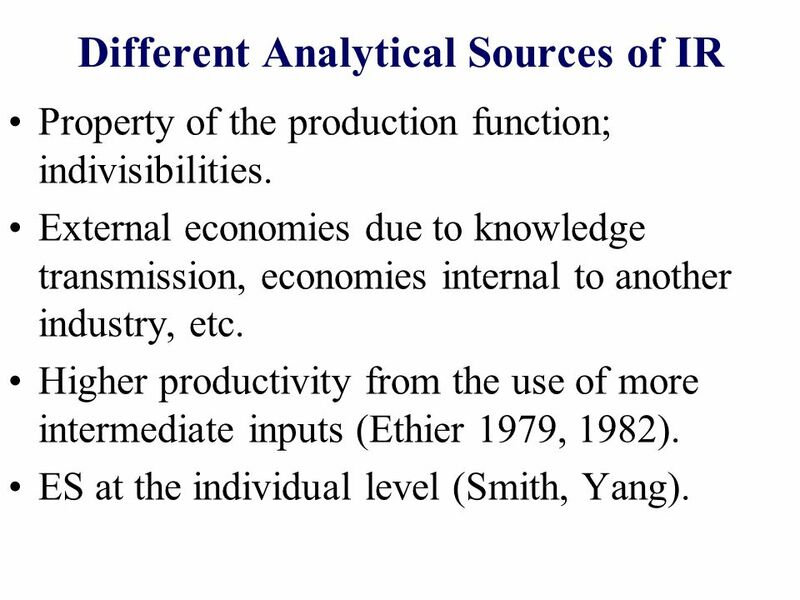 6 Different Analytical Sources of IR Property of the production function; indivisibilities. External economies due to knowledge transmission, economies internal to another industry, etc. Higher productivity from the use of more intermediate inputs (Ethier 1979, 1982). ES at the individual level (Smith, Yang). 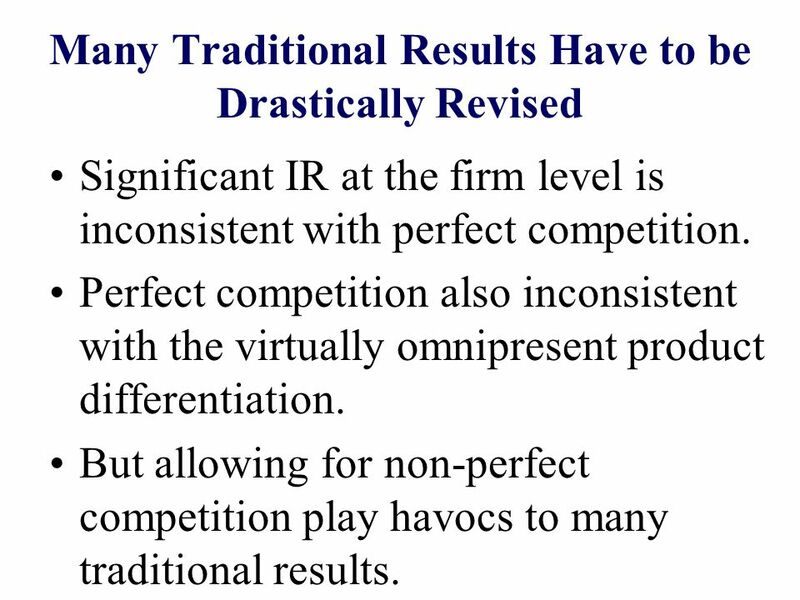 7 Many Traditional Results Have to be Drastically Revised Significant IR at the firm level is inconsistent with perfect competition. 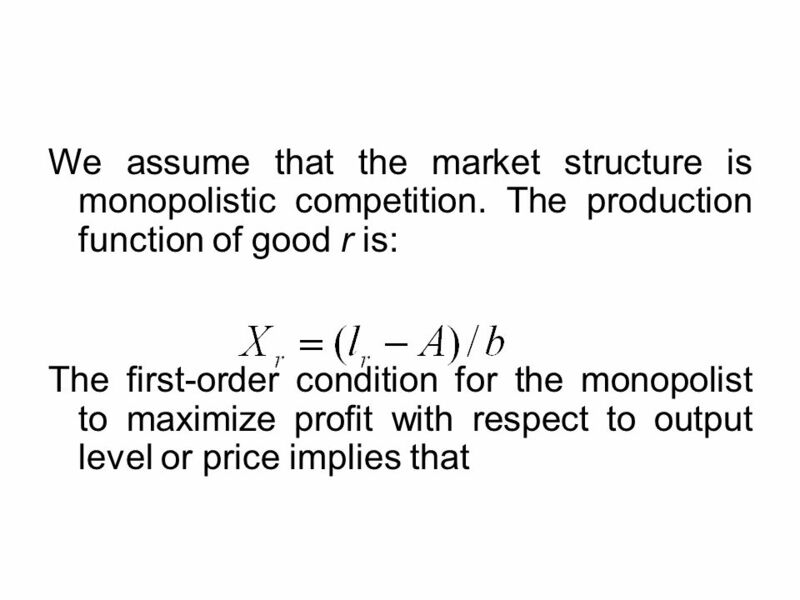 Perfect competition also inconsistent with the virtually omnipresent product differentiation. But allowing for non-perfect competition play havocs to many traditional results. 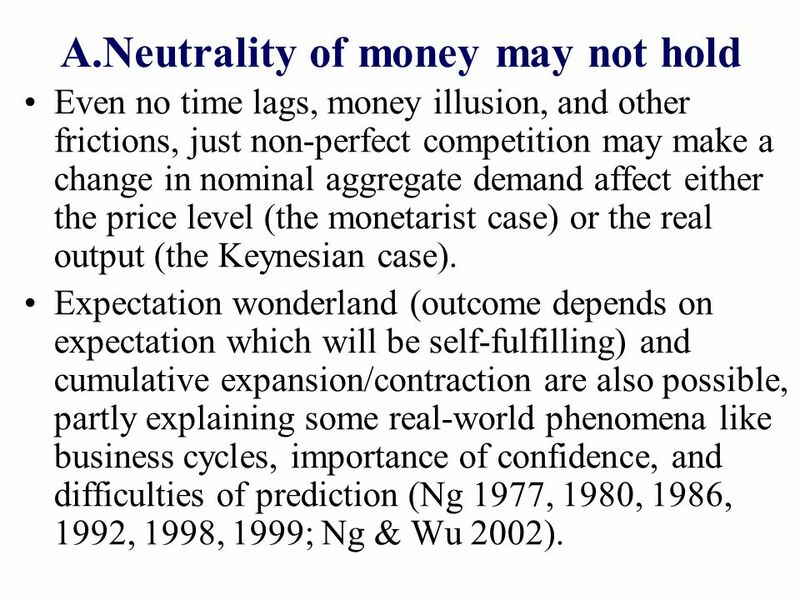 8 A.Neutrality of money may not hold Even no time lags, money illusion, and other frictions, just non-perfect competition may make a change in nominal aggregate demand affect either the price level (the monetarist case) or the real output (the Keynesian case). Expectation wonderland (outcome depends on expectation which will be self-fulfilling) and cumulative expansion/contraction are also possible, partly explaining some real-world phenomena like business cycles, importance of confidence, and difficulties of prediction (Ng 1977, 1980, 1986, 1992, 1998, 1999; Ng & Wu 2002). 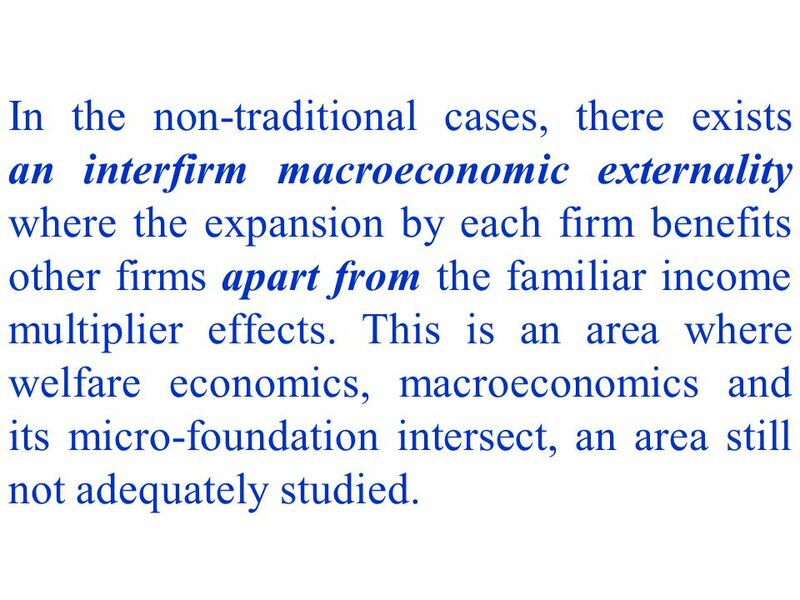 9 In the non-traditional cases, there exists an interfirm macroeconomic externality where the expansion by each firm benefits other firms apart from the familiar income multiplier effects. This is an area where welfare economics, macroeconomics and its micro-foundation intersect, an area still not adequately studied. 10 The crux of the difference Demand Side: A horizontal demand curve cannot shift left or right, only up or down. But an upward shift means an increase in price. With no time lags, money illusion, this leads to a similar shift in MC. 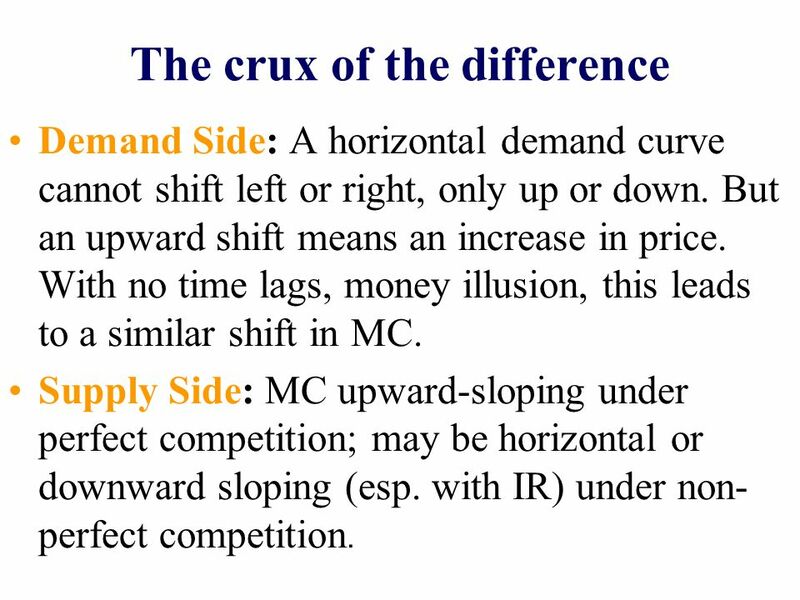 Supply Side: MC upward-sloping under perfect competition; may be horizontal or downward sloping (esp. with IR) under non- perfect competition. 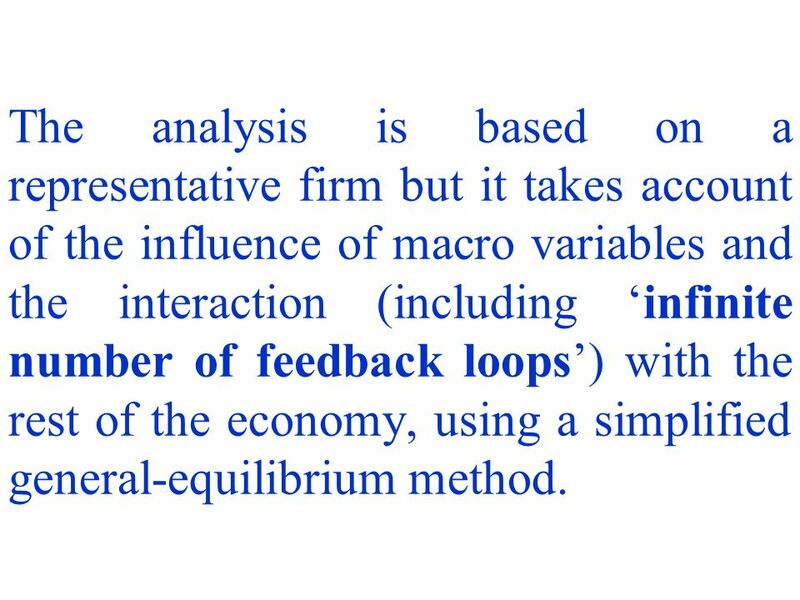 11 The analysis is based on a representative firm but it takes account of the influence of macro variables and the interaction (including infinite number of feedback loops) with the rest of the economy, using a simplified general-equilibrium method. 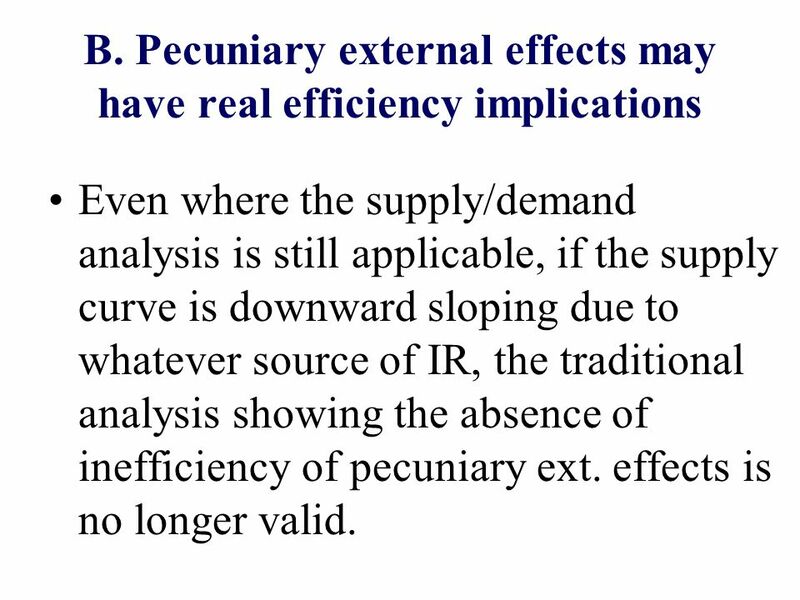 13 B. Pecuniary external effects may have real efficiency implications Even where the supply/demand analysis is still applicable, if the supply curve is downward sloping due to whatever source of IR, the traditional analysis showing the absence of inefficiency of pecuniary ext. effects is no longer valid. 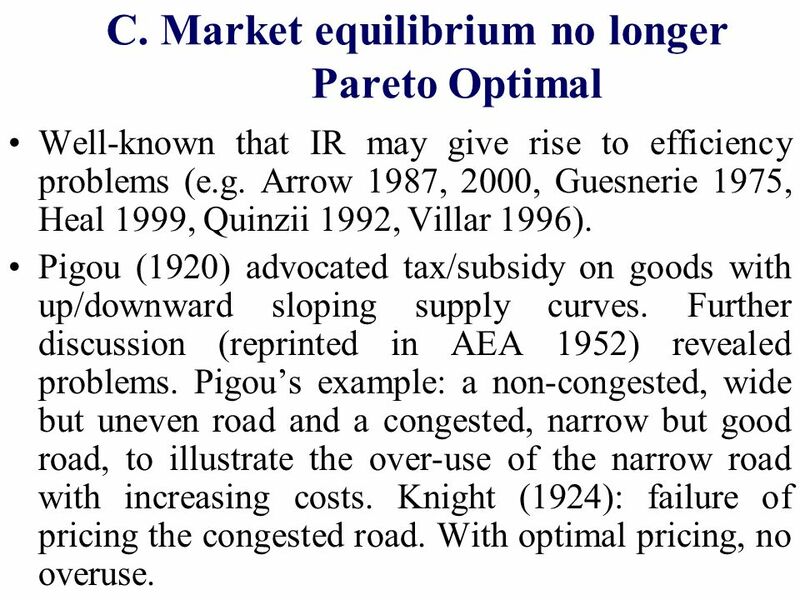 14 C. Market equilibrium no longer Pareto Optimal Well-known that IR may give rise to efficiency problems (e.g. Arrow 1987, 2000, Guesnerie 1975, Heal 1999, Quinzii 1992, Villar 1996). 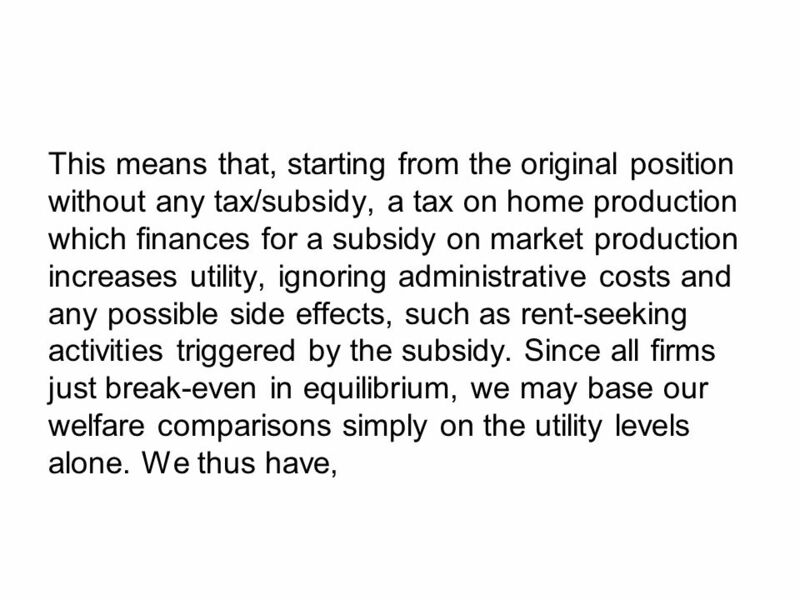 Pigou (1920) advocated tax/subsidy on goods with up/downward sloping supply curves. Further discussion (reprinted in AEA 1952) revealed problems. Pigous example: a non-congested, wide but uneven road and a congested, narrow but good road, to illustrate the over-use of the narrow road with increasing costs. Knight (1924): failure of pricing the congested road. With optimal pricing, no overuse. 15 Dixit & Stiglitz (1977) show that no general conclusion can be made. 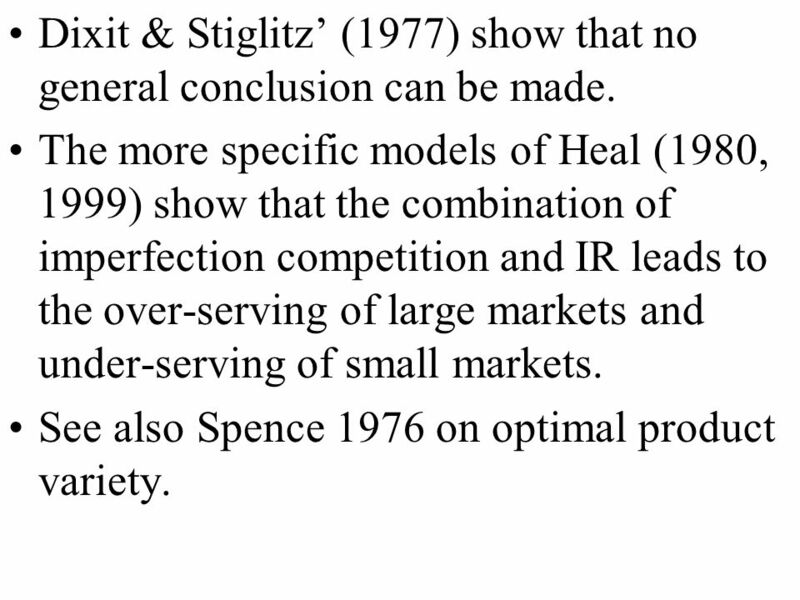 The more specific models of Heal (1980, 1999) show that the combination of imperfection competition and IR leads to the over-serving of large markets and under-serving of small markets. See also Spence 1976 on optimal product variety. 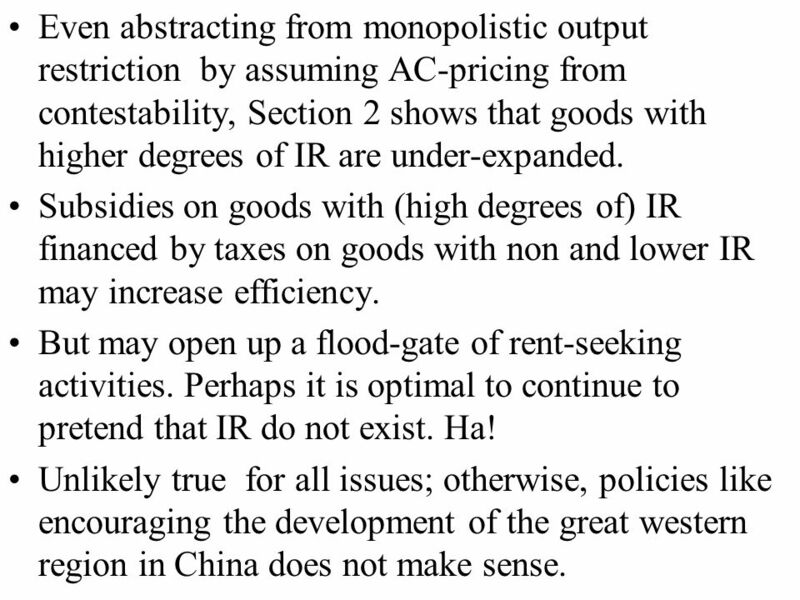 16 Even abstracting from monopolistic output restriction by assuming AC-pricing from contestability, Section 2 shows that goods with higher degrees of IR are under-expanded. 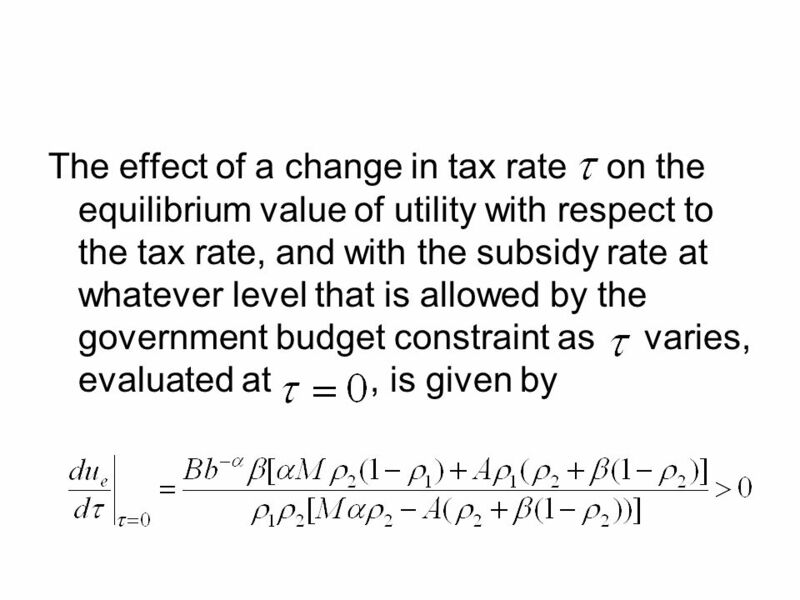 Subsidies on goods with (high degrees of) IR financed by taxes on goods with non and lower IR may increase efficiency. But may open up a flood-gate of rent-seeking activities. Perhaps it is optimal to continue to pretend that IR do not exist. Ha! Unlikely true for all issues; otherwise, policies like encouraging the development of the great western region in China does not make sense. 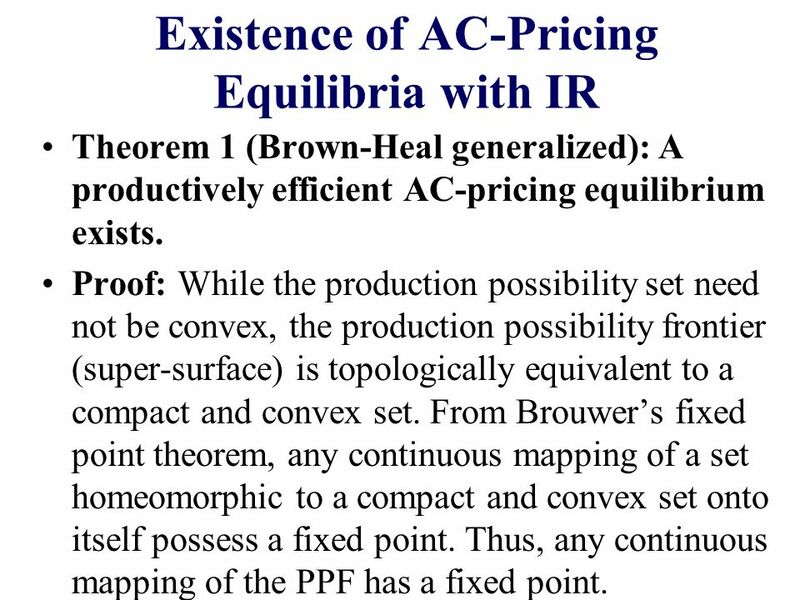 17 Existence of AC-Pricing Equilibria with IR Theorem 1 (Brown-Heal generalized): A productively efficient AC-pricing equilibrium exists. 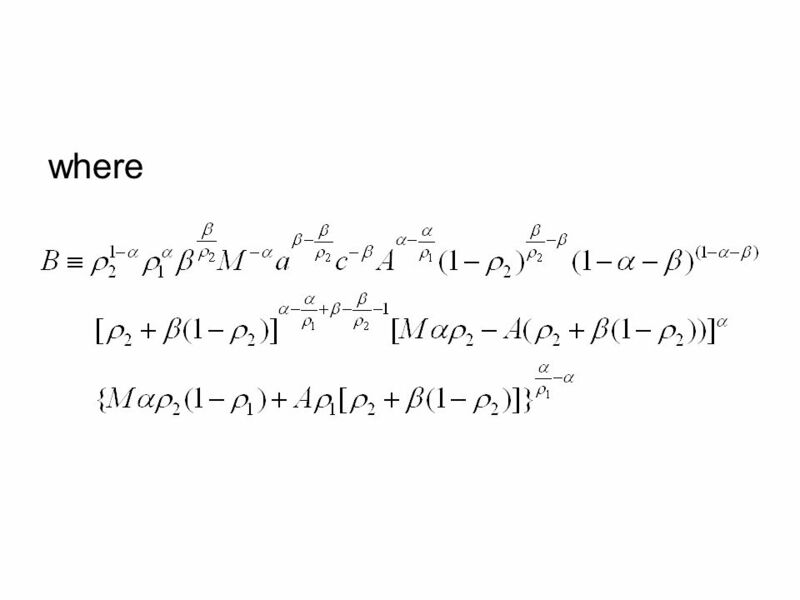 Proof: While the production possibility set need not be convex, the production possibility frontier (super-surface) is topologically equivalent to a compact and convex set. From Brouwers fixed point theorem, any continuous mapping of a set homeomorphic to a compact and convex set onto itself possess a fixed point. 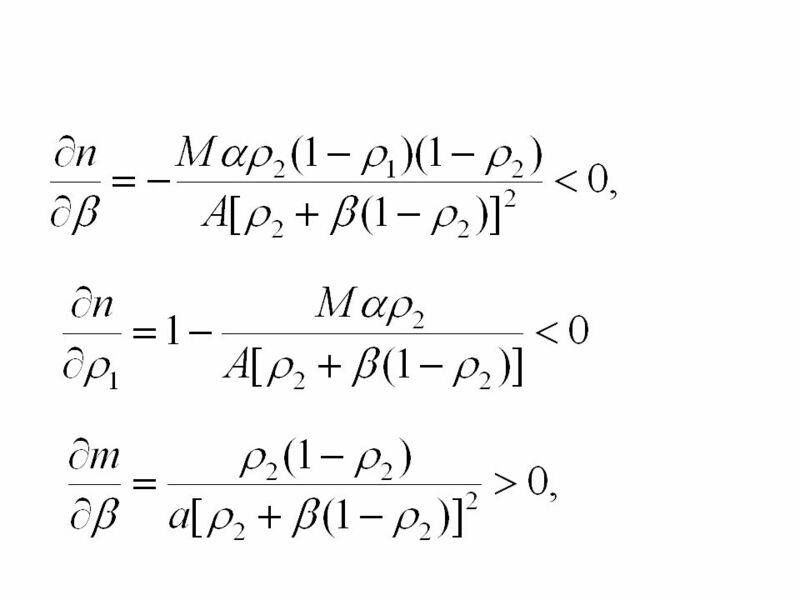 Thus, any continuous mapping of the PPF has a fixed point. 18 Consider the following continuous mapping Ф of PPF into PPF: (G 1, …, G g ) 0 (W 1 /W R, …, W R- 1 /W R ) 0 ; (P 1, …, P G ) 0 (G d 1, …, G d g ) 1 (G 1, …, G g ) 2, where (i)(G 1, …, G g ) 0 is an arbitrary point on the PPF. 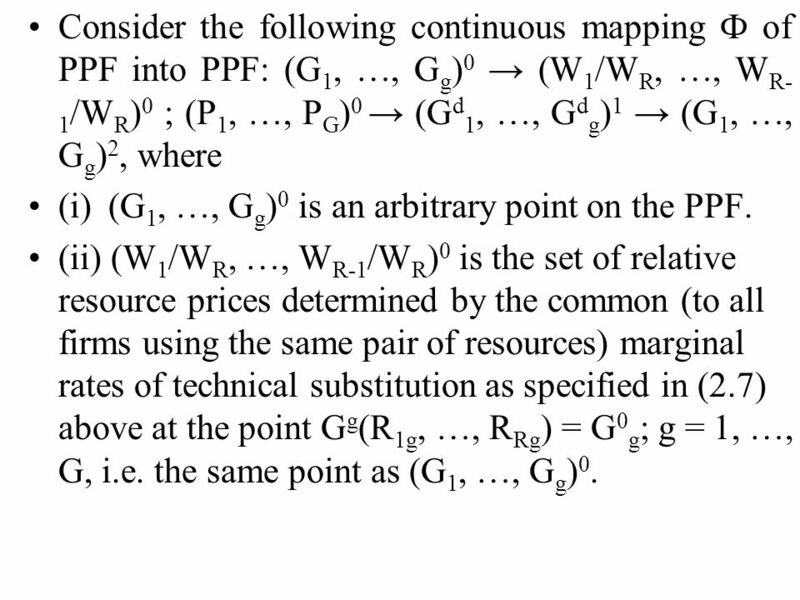 (ii) (W 1 /W R, …, W R-1 /W R ) 0 is the set of relative resource prices determined by the common (to all firms using the same pair of resources) marginal rates of technical substitution as specified in (2.7) above at the point G g (R 1g, …, R Rg ) = G 0 g ; g = 1, …, G, i.e. the same point as (G 1, …, G g ) 0. 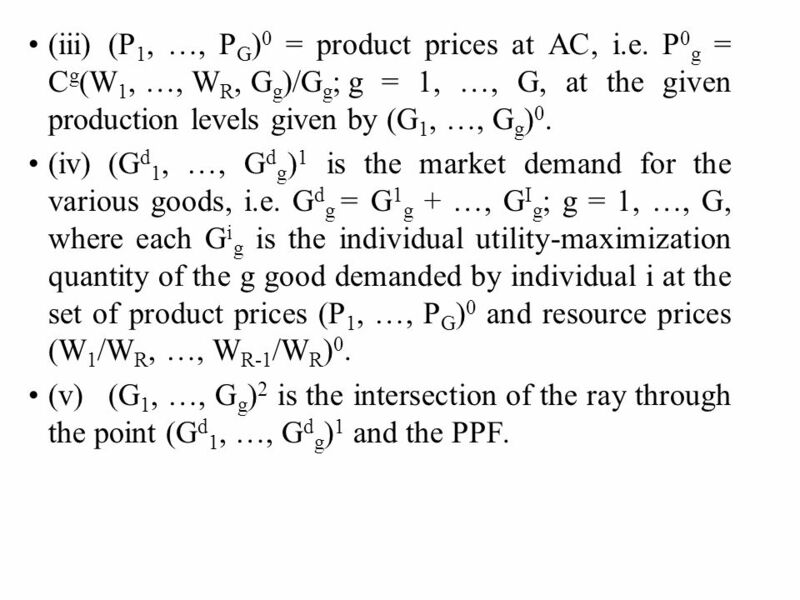 19 (iii)(P 1, …, P G ) 0 = product prices at AC, i.e. P 0 g = C g (W 1, …, W R, G g )/G g ;g = 1, …, G, at the given production levels given by (G 1, …, G g ) 0. (iv)(G d 1, …, G d g ) 1 is the market demand for the various goods, i.e. 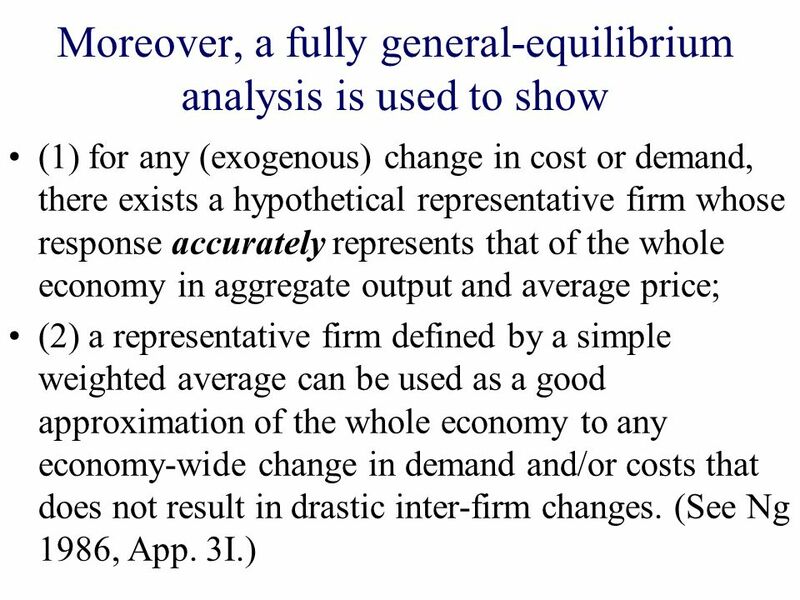 G d g = G 1 g + …, G I g ; g = 1, …, G, where each G i g is the individual utility-maximization quantity of the g good demanded by individual i at the set of product prices (P 1, …, P G ) 0 and resource prices (W 1 /W R, …, W R-1 /W R ) 0. (v)(G 1, …, G g ) 2 is the intersection of the ray through the point (G d 1, …, G d g ) 1 and the PPF. 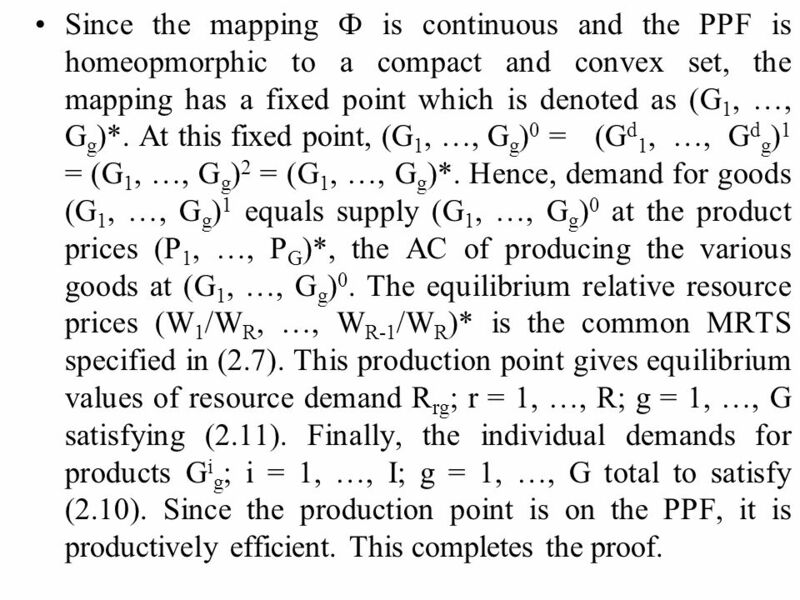 20 Since the mapping Ф is continuous and the PPF is homeopmorphic to a compact and convex set, the mapping has a fixed point which is denoted as (G 1, …, G g )*. At this fixed point, (G 1, …, G g ) 0 = (G d 1, …, G d g ) 1 = (G 1, …, G g ) 2 = (G 1, …, G g )*. Hence, demand for goods (G 1, …, G g ) 1 equals supply (G 1, …, G g ) 0 at the product prices (P 1, …, P G )*, the AC of producing the various goods at (G 1, …, G g ) 0. The equilibrium relative resource prices (W 1 /W R, …, W R-1 /W R )* is the common MRTS specified in (2.7). 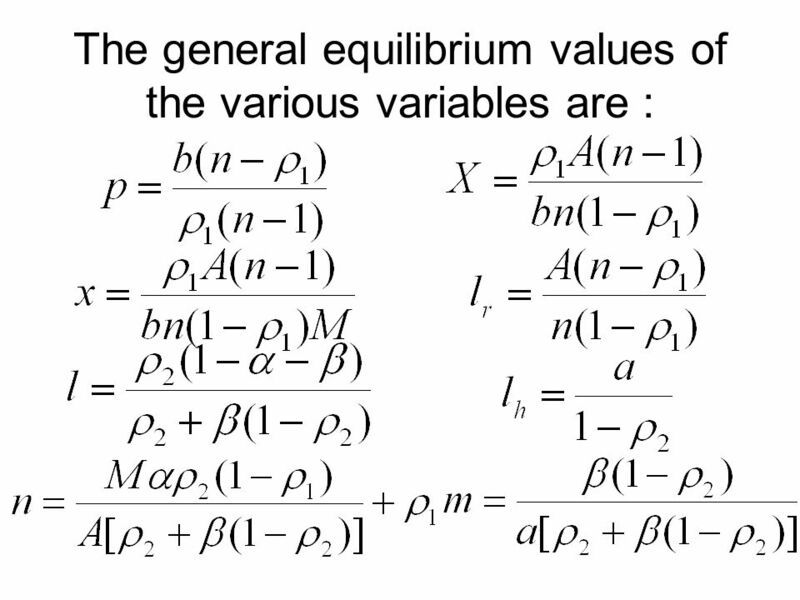 This production point gives equilibrium values of resource demand R rg ; r = 1, …, R; g = 1, …, G satisfying (2.11). 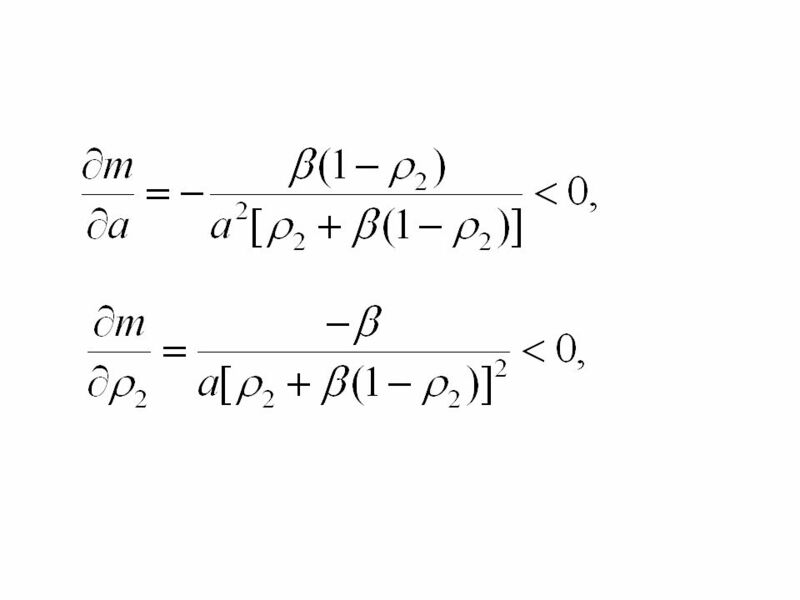 Finally, the individual demands for products G i g ; i = 1, …, I; g = 1, …, G total to satisfy (2.10). Since the production point is on the PPF, it is productively efficient. This completes the proof. 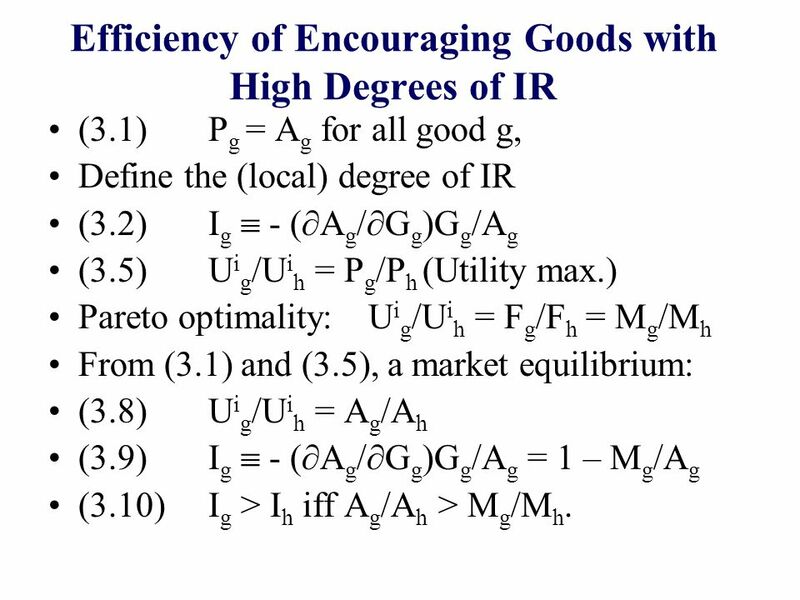 21 Efficiency of Encouraging Goods with High Degrees of IR (3.1)P g = A g for all good g, Define the (local) degree of IR (3.2)I g - ( A g / G g )G g /A g (3.5)U i g /U i h = P g /P h (Utility max.) 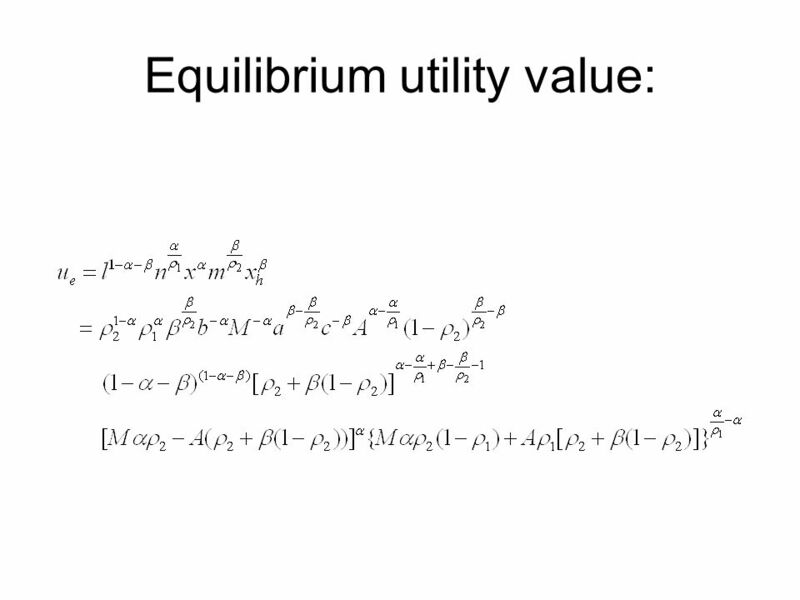 Pareto optimality:U i g /U i h = F g /F h = M g /M h From (3.1) and (3.5), a market equilibrium: (3.8)U i g /U i h = A g /A h (3.9)I g - ( A g / G g )G g /A g = 1 – M g /A g (3.10)I g > I h iff A g /A h > M g /M h.
22 From (3.8) and (3.10): For any market equilibrium P: (3.11)MRS gh > M g /M h iff I g > I h. The (absolute) slope of PPF in the g/h plane equals M g /M h (with good g on the horizontal axis). 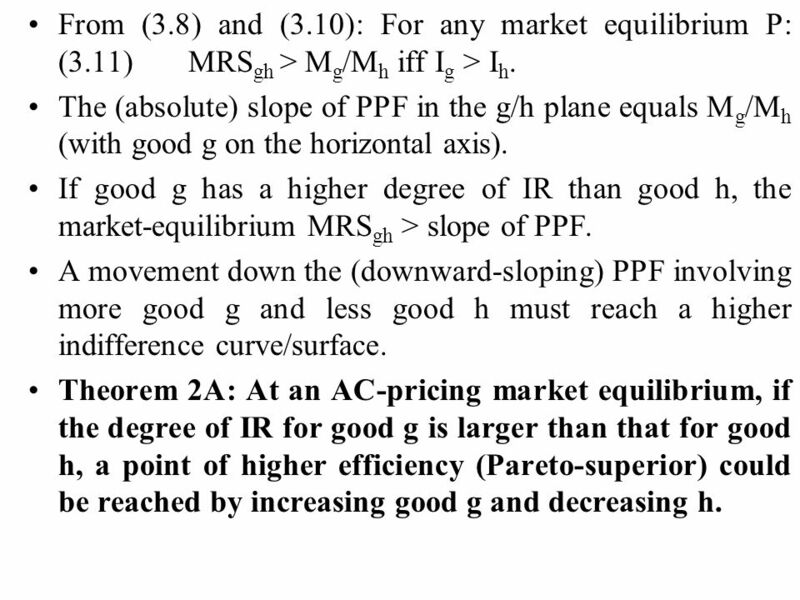 If good g has a higher degree of IR than good h, the market-equilibrium MRS gh > slope of PPF. A movement down the (downward-sloping) PPF involving more good g and less good h must reach a higher indifference curve/surface. 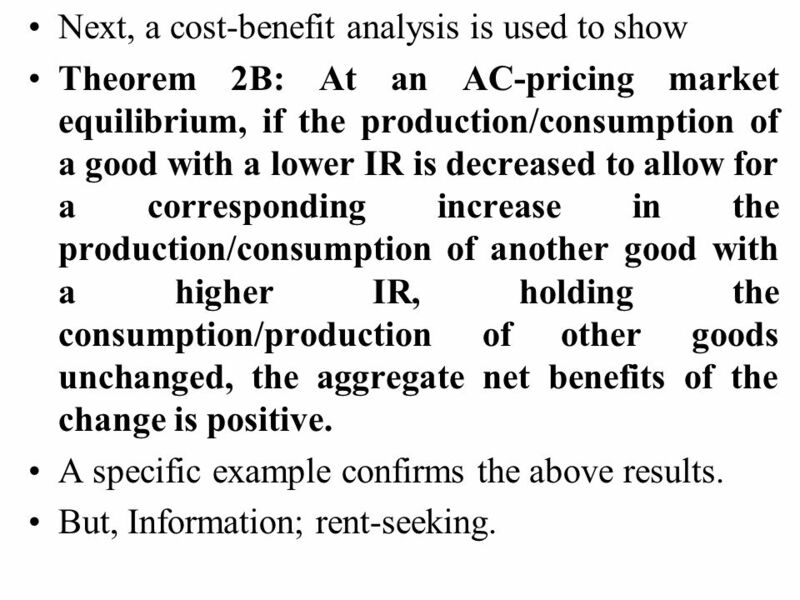 Theorem 2A: At an AC-pricing market equilibrium, if the degree of IR for good g is larger than that for good h, a point of higher efficiency (Pareto-superior) could be reached by increasing good g and decreasing h.
23 Next, a cost-benefit analysis is used to show Theorem 2B: At an AC-pricing market equilibrium, if the production/consumption of a good with a lower IR is decreased to allow for a corresponding increase in the production/consumption of another good with a higher IR, holding the consumption/production of other goods unchanged, the aggregate net benefits of the change is positive. A specific example confirms the above results. But, Information; rent-seeking. 24 Joint paper with D.S. 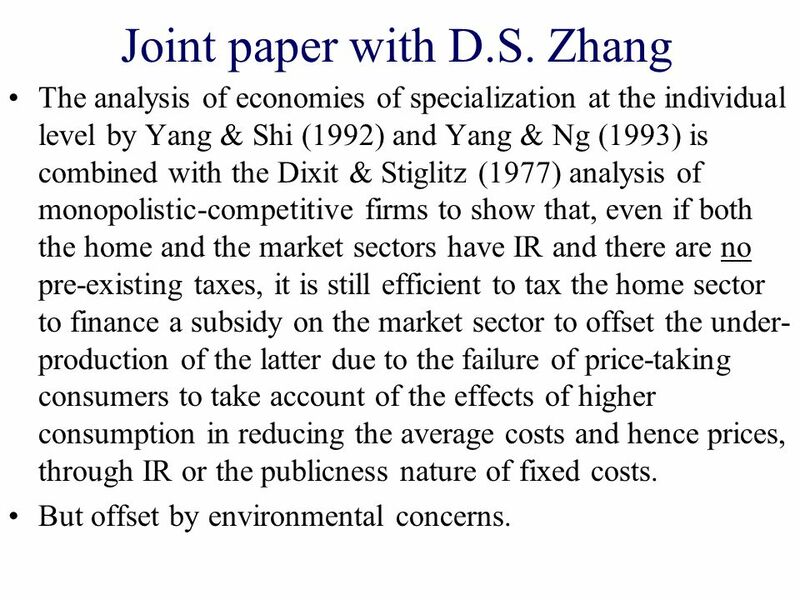 Zhang The analysis of economies of specialization at the individual level by Yang & Shi (1992) and Yang & Ng (1993) is combined with the Dixit & Stiglitz (1977) analysis of monopolistic-competitive firms to show that, even if both the home and the market sectors have IR and there are no pre-existing taxes, it is still efficient to tax the home sector to finance a subsidy on the market sector to offset the under- production of the latter due to the failure of price-taking consumers to take account of the effects of higher consumption in reducing the average costs and hence prices, through IR or the publicness nature of fixed costs. But offset by environmental concerns. 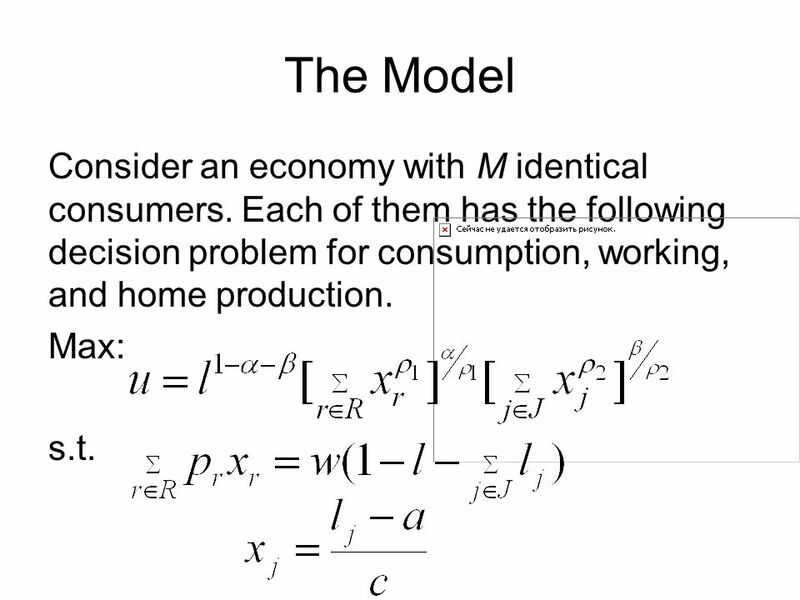 26 The Model Consider an economy with M identical consumers. 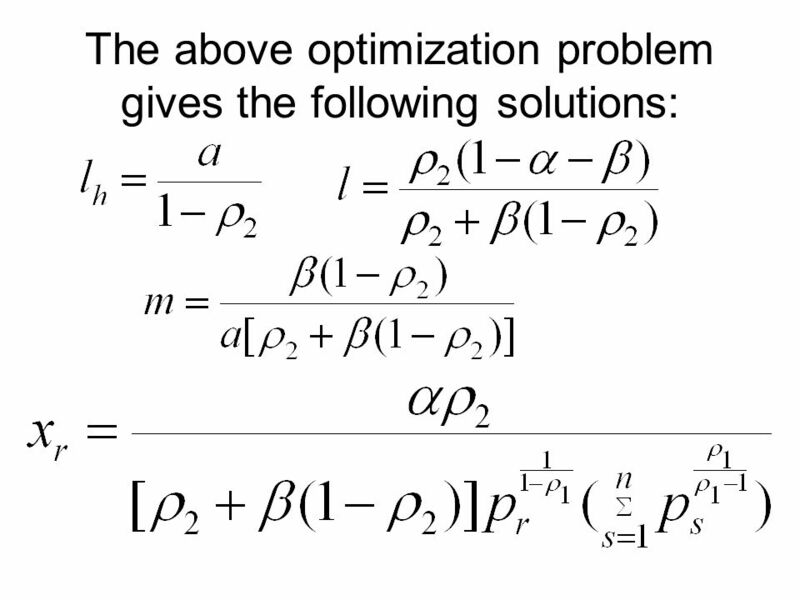 Each of them has the following decision problem for consumption, working, and home production. Max: s.t. 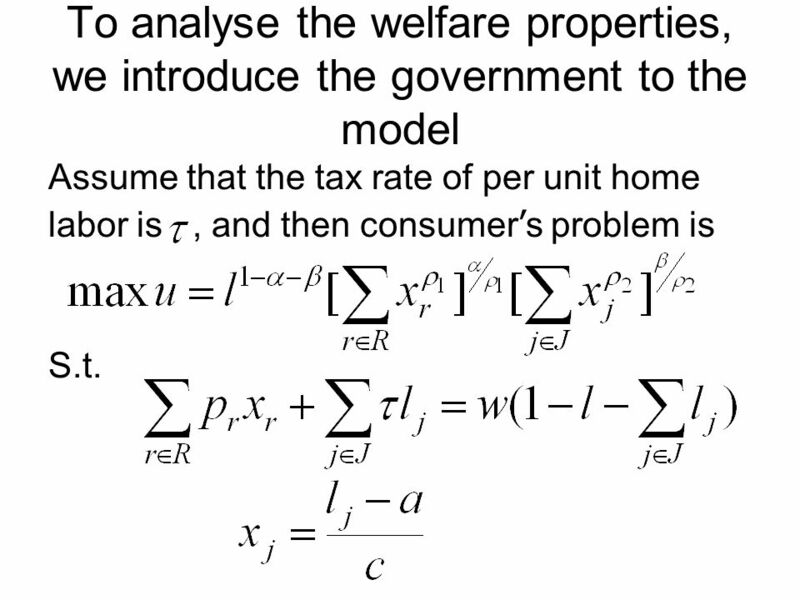 34 To analyse the welfare properties, we introduce the government to the model Assume that the tax rate of per unit home labor is, and then consumer s problem is S.t. 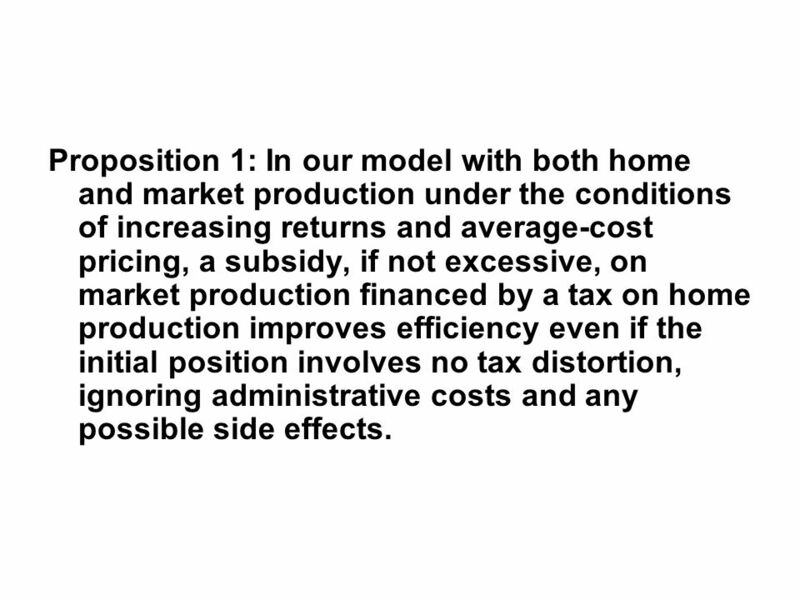 40 Proposition 1: In our model with both home and market production under the conditions of increasing returns and average-cost pricing, a subsidy, if not excessive, on market production financed by a tax on home production improves efficiency even if the initial position involves no tax distortion, ignoring administrative costs and any possible side effects. 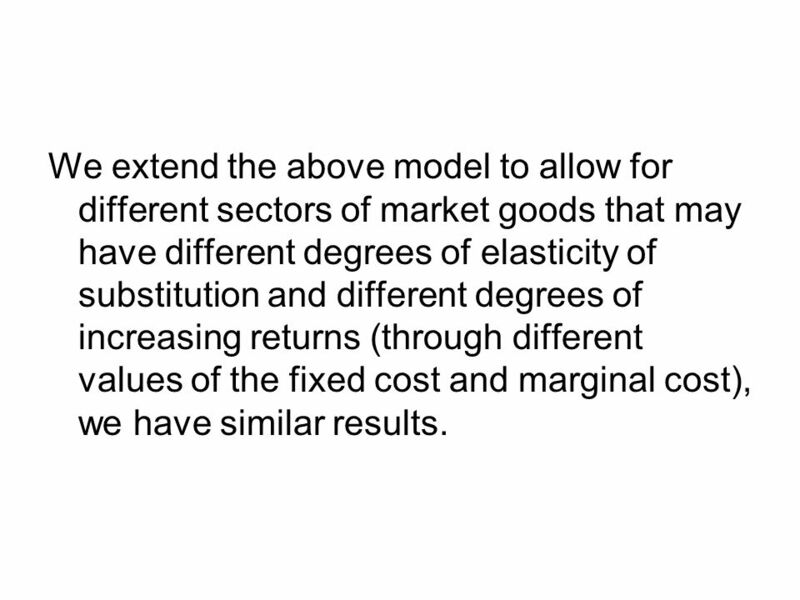 41 We extend the above model to allow for different sectors of market goods that may have different degrees of elasticity of substitution and different degrees of increasing returns (through different values of the fixed cost and marginal cost), we have similar results. 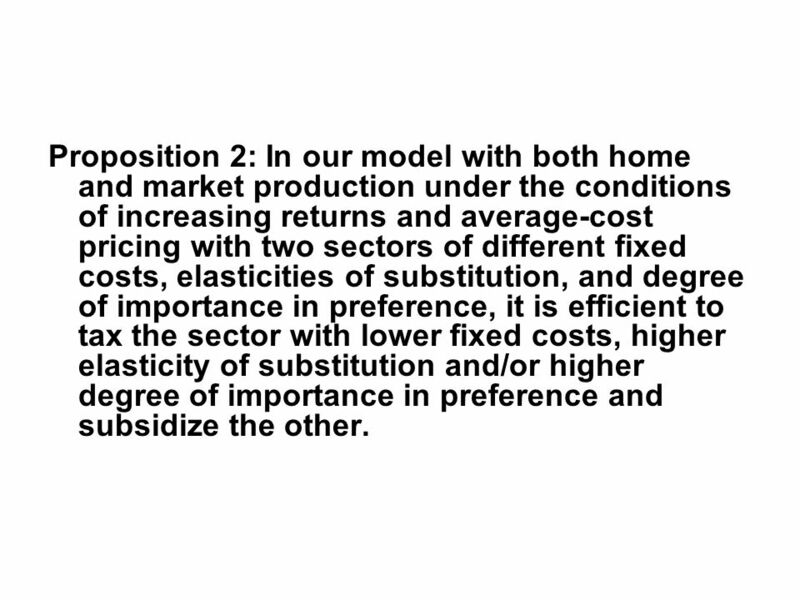 42 Proposition 2: In our model with both home and market production under the conditions of increasing returns and average-cost pricing with two sectors of different fixed costs, elasticities of substitution, and degree of importance in preference, it is efficient to tax the sector with lower fixed costs, higher elasticity of substitution and/or higher degree of importance in preference and subsidize the other. 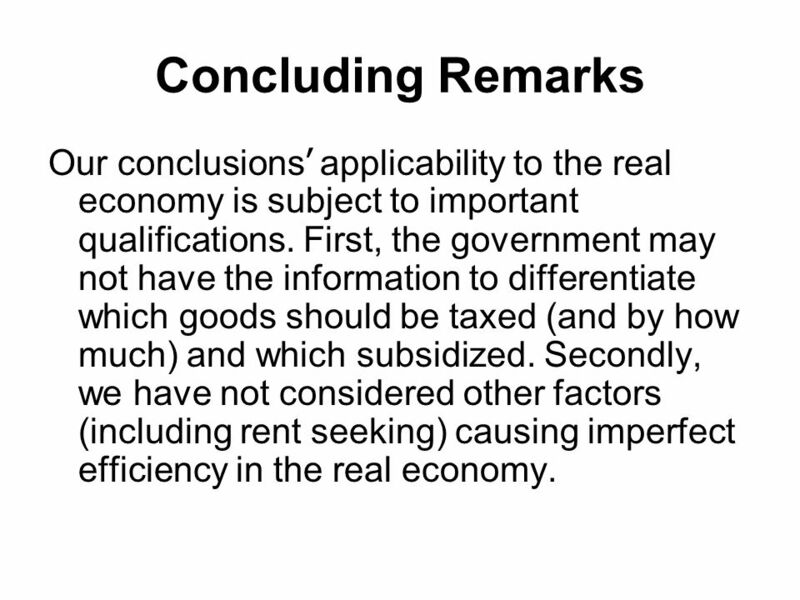 43 Concluding Remarks Our conclusions applicability to the real economy is subject to important qualifications. First, the government may not have the information to differentiate which goods should be taxed (and by how much) and which subsidized. Secondly, we have not considered other factors (including rent seeking) causing imperfect efficiency in the real economy. 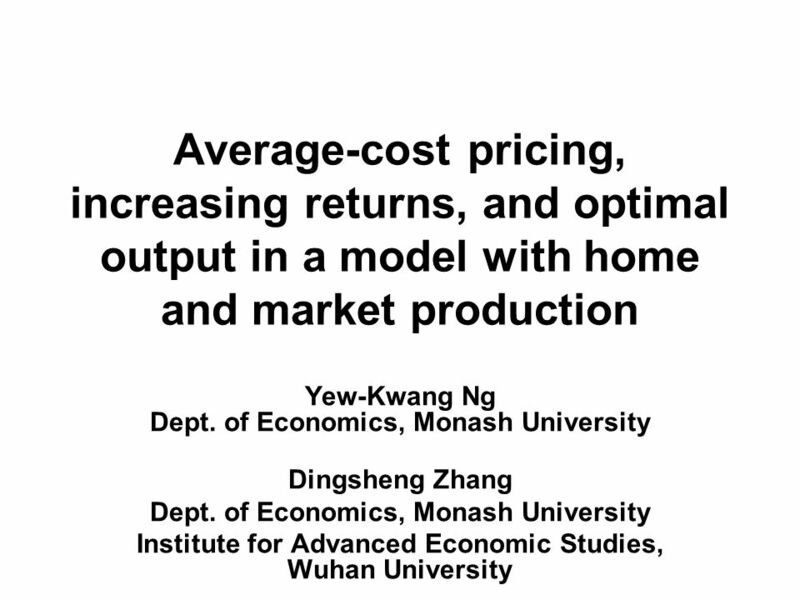 Download ppt "Increasing Returns and Economic Efficiency. More Seriously Learning costs, indivisibilities giving rise to sizable fixed costs. Information and knowledge."  Meaning and Characteristic  Demand and Cost Curves  Product differentiation  Price determination (short and long periods)  Group Equilibrium  Selling. 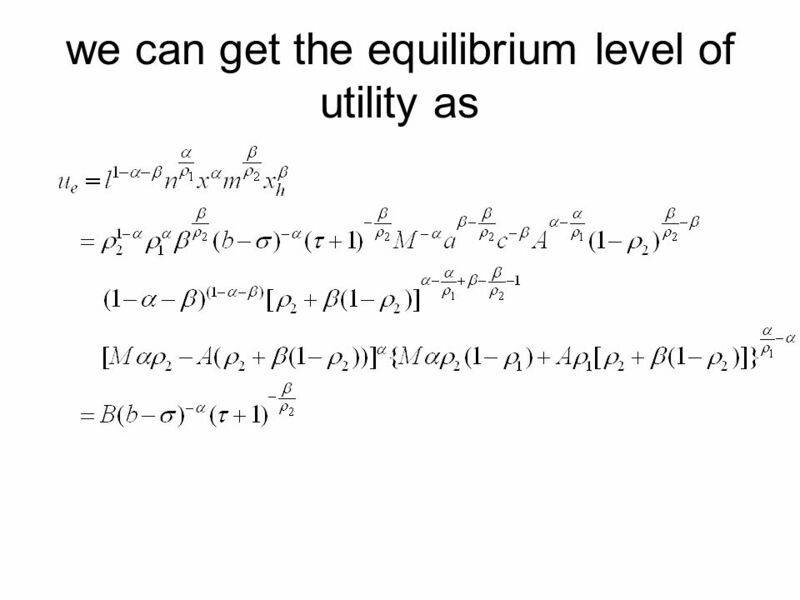 Lecture 3: Taxes, Tariffs and Quota (Chapter 5) Relation to work horses Government and taxation Taxes and quotas in general equilibrium Welfare implications. Market size and tax competition Gianmarco I.P. Ottaviano, Tanguy van Ypersele. 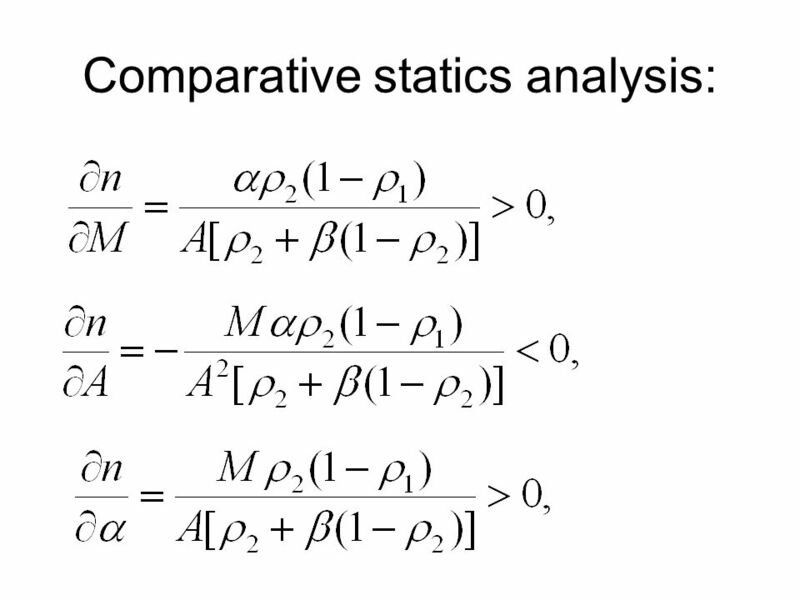 Unit 1: Trade Theory Standard Trade Model 2/6/2012. 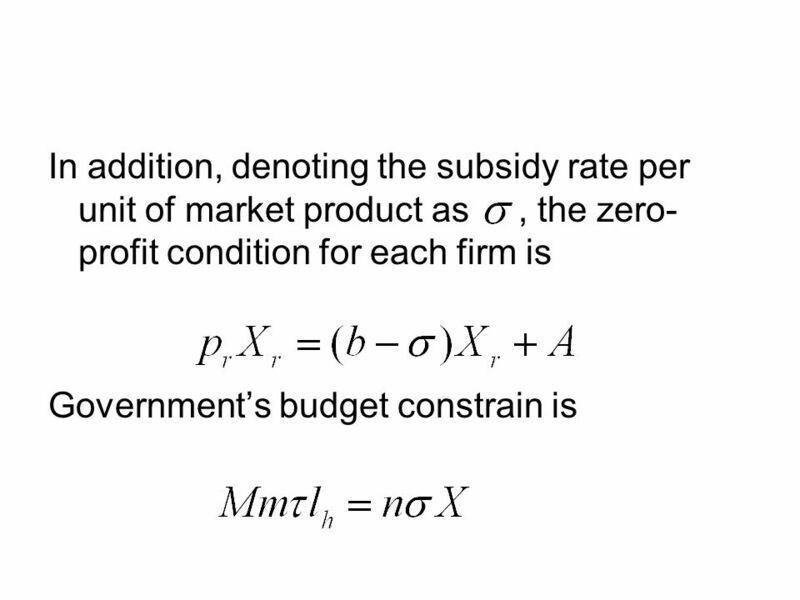 Chapter 5 A Closed- Economy One-Period Macro- economic Model Copyright © 2014 Pearson Education, Inc. Copyright © 2008 Pearson Addison-Wesley. All rights reserved. Chapter 9 A Real Intertemporal Model with Investment.